Queensland University of Technology's graduate and post-graduate performance seasons, Ausdance Queensland's Belltower ll series, and the 2008 World Dance Alliance performative presentations. Lisa's first full length independent work Elbow Room premiered at Brisbane Powerhouse in 2010 and she was awarded a Brisbane City Council's Creative Sparks Grant, to develop a new dance-theatre work Lake. Her twenty-year career has included work with renowned choreographers and companies in Australia and the United Kingdom including Dance North with works by Jane Pirani, Csaba Buday, Greame Watson, Leigh Warren, Sandra Parker and Sue Healey; Expressions Dance Company including works by Natalie Weir; UK-based Bunty Matthias & Dancers, Emily Burns, David Massingham Dance, Jeremy James, and Rambert Dance Company. Lisa has performed in Japan, Vietnam, the United Kingdom, Austria, Switzerland, Singapore, China, Germany, Mexico, New Caledonia and the USA and has received numerous nominations for Dance Australia's Critics Choice Awards and the Australian Dance Awards. 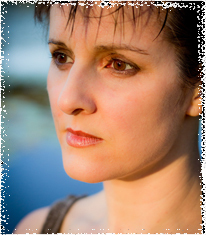 Lisa instructs company and master classes for dance professionals and students throughout Australia and Vietnam, Japan, Singapore, China,Mexico and New Caledonia. She has given company classes for Sydney Dance Company, Expressions Dance Co, Dance North and Hong Kong City Contemporary Dance Co. She has worked across all tiers of the education systems in Australia and the United Kingdom.